I’ve been working on a new project lately. It’s been consuming most of my days and nights since the fall… and this past week, I hit my first of many major deadlines. With that, I got excited about what it’s going to come. And as a part of this mysterious new project, I wanted to share a bit about the fear in creativity. So here is why Fear is a Myth. Fear is an interesting thing in the realm of creativity. For few it’s a catalyst to create in spite of the fear, but for most it’s the very thing that prevents us from stepping into the potential we all inherently embody. One way you could define fear is; the focus on the worst case scenario of any possible situation, thinking that potential scenario would become your reality. Fear is a myth because the worst possible scenario is extremely unlikely to take place. Because it is exactly that, the “worst possible scenario”. Fear is a myth because you probably won’t lose your job, your spouse, your car, all your life savings, be banned from the community you know and sent into a never ending spiral of humiliation and shame. But fear wants us to stop creating. And think about it this way, even if it does all happen, I’m here to tell you that it’s even more unlikely that your setback will be permanent. Creative failure only resorts to temporary loss, and doesn’t have a lasting effect. Which means it will only be temporary. Think about all those artists or celebrities that have really messed up. We see their mess up on TMZ every day, or even the local news if you live in a city like Nashville. And it seems to me, that within mere months (sometimes only days) that they’re right back in the middle and accepted by everyone again. Because fear is a myth. Our world moves too fast to hold that big of a grudge against someone. Furthermore, we live in a society that celebrates creative risk, and I believe you will be championed and applauded more than you can imagine. What a profound concept. If and when that so-called “worst case scenario” actually manifests itself, our worth as a human (a dad, a son, a friend and a creative image bearer of Christ) only affects the quality of life (money, happiness, comfort) and not the value (salvation, identity, humanity) of our life. So I hope you tackle that fear of creating. I hope you tackle that fear of doing something beautiful with the gifts and talents you have been given. And I hope you recognize that FEAR IS A MYTH. P.s. This is a concept that I bring up in my latest book, Creative Potential. 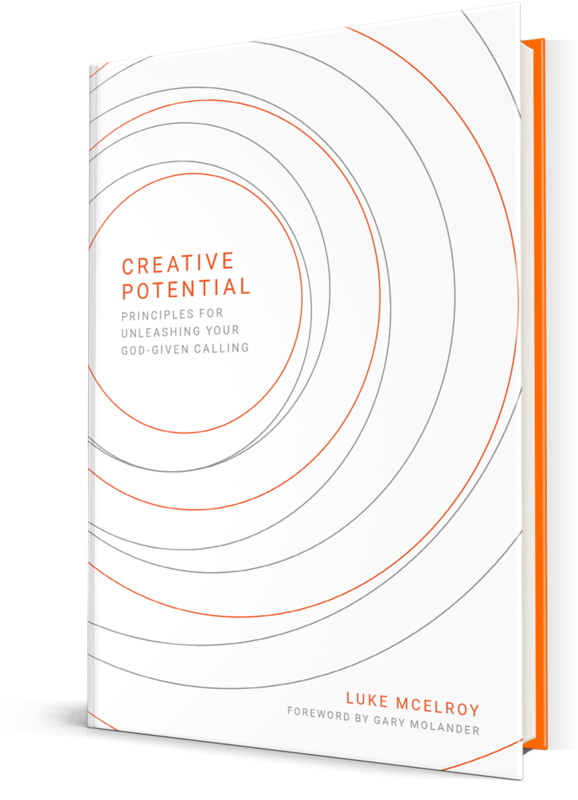 Check out how you can maximize your own creative potential by clicking here.